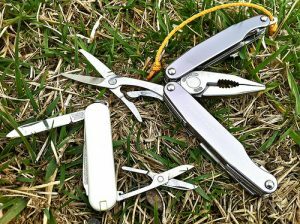 When going on a hike or backpacking, carrying a multitool can save you some hassle. Regardless of whatever you plan to do, whether cooking or first aid, these devices come to your rescue. A multitool refers to a pocket-sized gear with lots of features like those you would find in any toolbox. With a multitool, there is no need to carry a saw, pliers, screwdrivers, or knives since it’s going to perform all that for you. Besides the importance of a multitool, it serves as a convenient gear for many outdoor tasks. There are so many options out there including different designs and types with an array of features. There are also heavy-duty workhorses that are impractical or too heavy for light campers. However, you will find the most suitable multitool for you. 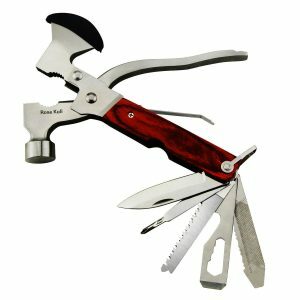 Below are the 5 best multitools for backpacking that you should consider buying for your next camping trip. Each has unique attributes, and some are better suited for emergency purposes, while others for light use. 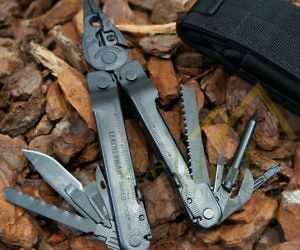 When it comes to making multitools, Leatherman has been crowned the pioneers. They are known to make quality multi-purpose pocket-sized tools. They make several tools with a variety of configurations including specialized ones designed for specific needs. 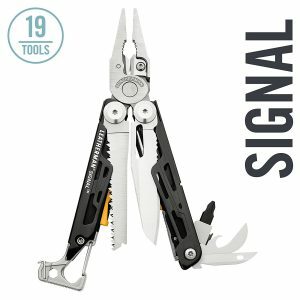 The Leatherman Signal multitool is specifically designed for camping. It is packed with all the tools you might need including a knife, saw, screwdriver, and needle nose pliers. There are other tools on it that make it more suited for outdoor survival. It has a carabiner at the end making it easy to hang on a belt or from a pack. Furthermore, it is equipped with an emergency whistle and a ferrocerium rod to start fires. Victorinox is a company best known for making quality Swiss army knives. This company has been around for more than a decade now, which can assure quality tools. The Spirit is an impressively rugged and elegantly designed multitool with well thought out components. Such components include a locking mechanism that prevents tools from slipping, as well as ergonomically curved plier handles. Equipped with an additional 34 functions, there is almost nothing that cannot be tackled. This multitool will even aid with eyeglass repairs and wire stripping. 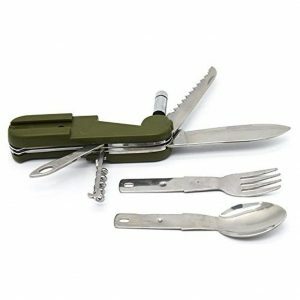 Its many functions, as well as an added mini ratchet set makes it a good tool for camping. The Titan Survival card-like tool boasts of 22 uses. At first glance many would not consider it a “multitool”. However, it comes with a lot of functions, all in a lightweight item. Some of its components include arrow tips, several fishing hooks, awls, a tiny saw, components that construct snares, and many others. It is manufactured from high quality materials and can easily be carried in your wallet like a credit card. However, it’s of greater use as an emergency tool rather than an all-purpose tool. For most people, this tool is an every day object that can be carried with a keychain or a small pocket knife. 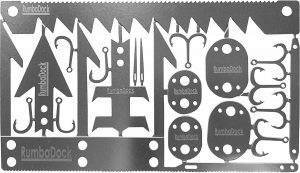 There are some variations from the same company Readyman, particularly for lock picking, first aid, and fishing tools. The 7″ Rose Kuli multitool was designed specifically with camping in mind. It is uniquely combined with a hammer, pliers, axe and many other components. If you’ve been camping before, you know that there can be difficult moments where a tool could have been beneficial. For example, pounding rocks on a tent stake because you did not have an efficient tool. Such instanced will help you appreciate this inexpensive little tool. Though it’s really handy, it has its downsides. Its hammer is smaller compared to a normal hammer, and its pliers are not as practical making you take more time on repairs. It is best suited for occasional use only or short trips. This is because its shaft contains typical tools including a knife which is of decent quality. The KAMSOL Outdoor Multi function multitool is an inexpensive multitool. It is perfect for those who camp occasionally, or as a durable, pocket-sized tool. This multitools compactness makes it a perfect choice for ultralight backpackers. It was particularly designed for meal times as it is equipped with a detachable spoon and fork. This makes it easier to clean up compared to similar utensils that have no detachable silverware. It is also equipped with a bottle opener, corkscrew, knife and other practical tools. The KAMSOL multitool has a small LED flashlight that is surprisingly bright and useful. A high quality multitool can be more costly, but is usually more durable, well-made, and versatile. 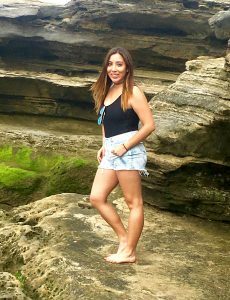 You should consider how frequently you will be handling it prior to deciding on a budget, as well as your frequency of camping. If you are planning to take a long trip to an isolated area, then its important to get the best tool available. Most campers are able to find a good multitool for a reasonable price. 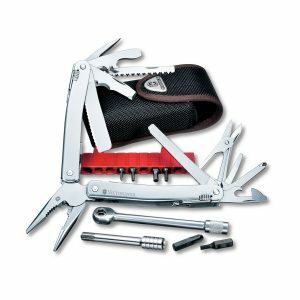 The well-respected and well-known brands manufacture quality multitools within multiple price ranges. The uniqueness of a tool is determined by its type as well as the number of functions it can perform. Also, the types of outdoor activities you normally engage in will influence the type of multitool needed. Fishermen and hunters will most likely go for a tool that has a sturdy and large blade or a string scissor for cutting lines. For bikers, there are tools that focus more on mechanical functions. Ultralight backpackers would go for a smaller tool that is lightweight. Heavier and more expensive multitools are usually more durable. If you are planning to get one that you will use on a daily basis, get a brand and style with a good reputation, which ensures longevity. You also should look out for features like D-ring links or a carrying case. This particularly applies to those who want to purchase smaller multitools since they are more prone to getting lost. Weight is a factor that all backpackers need to consider even if you’re not an ultralight backpacker. Some multitools can add extra pounds to your gear. However, you should keep in mind that tools of higher quality are manufactured with heavier materials. This is an advantage for someone who wants a durable and strong saw blade that is not prone to bending. When it comes to portability there are certain questions to ask. How large is the tool you selected? How difficult is it to carry around? An extremely compact tool will be hard to find from the toolbox or pocket which is not desirable during emergencies. On the other hand, a big tool will be strenuous and heavy to carry. The best multitool should not be too large or too small. Get one that has some carrying means including belt loops, pocket clips or a sheath for added convenience. Many multitools are tightly screwed as one unit through the use of specialty bolts. This type of construction does not favor easy repairing of the tool. It is better to keep away from factory fixed multitools particularly those that are irreparable. There are factors to consider when inspecting a tool’s solid construction. Check whether its individual tools are tightly integrated, and do not wobble unnecessarily. In addition, the blade of the knife should be sharp with a long cutting edge. Hinges and locking mechanisms also serve as good measures for a tool’s build quality. Some of the qualities of a good multitool include sturdy materials, innovative design and tight tolerance. Fragile materials, wobbly operation, small and irascible tools are qualities of a bad multitool. It needs to be resistant to corrosion and rust. Multitools that lack good ergonomics usually give small cuts or pinch your hand especially when using it in a hurry. Those that lack smooth handles and rolled edges are usually hard to handle. Some models allow for easier access to tools from outside while others require you to spread the handles in order to access the tools. Such instances make one prone to injury during emergency situations in the case where the edges are not locked. An ergonomically and carefully designed multitool is easier and comfortable to handle. They also allow for easier accessibility of the different components. A good backpacking multitool will make a profound difference to your expeditions as well as come in handy in the case of emergencies. Ensure that you do not burden yourself with an unnecessary set of tools. The bottom line is that the best multitool from the list provided above would definitely be the Victorinox Spirit X. Despite its price tag and heaviness, its best in build with its rugged construction as well as its premium grade locking mechanism. Even after many years of use, its knife blade and scissors remain sharp. In addition, its pliers show no signs of wear even after repeated use. This attests to its durability. It’s this longevity and reliability that allows us to recommend the Spirit X for backpackers who are looking for a handy multitool for their expeditions. Of course it is recommended that you consider all factors listed above prior to making a decision before purchase. Pay close attention to its price, build quality, functions, usability of functions, and weight.